Whether you have come from a musical background or you’re in the initial stages of your job search where the idea of becoming a music supervisor sounds like a prosperous one, choosing the correct career path for you is important! Whatever stage you’re at we have provided some information to help you decide whether the role is the right fit for you. As the head of the music department, the music supervisor stands right in the middle of two hugely important groups; the film and TV productions that rely on the music to enhance the story, and the creators of the music. You act as a liaison between the creative and business ends from pre-production through to production and post-production working closely with the director, producer, and editor. You play a pivotal role in the creative decisions, finding the music styles and placements that best fits the unfolding scene within the narrative, making sure it is appropriate and fits the requirements passed on through the production team. You also oversee a range of various duties from finding and hiring a composer, overseeing and negotiating the deals with music publishers and record labels, the licensing process; where you are responsible for securing the licensing ahead of the movie release date, through to booking studio space. Once you have hired your composer, you work parallel with them, reporting your ideas and progressions back to the director. You coordinate together on what will be original music as opposed to the songs you’ll be licensing, once distinguished the music supervisor focuses more on music licensing and any issues, to leave the composer to his craft. 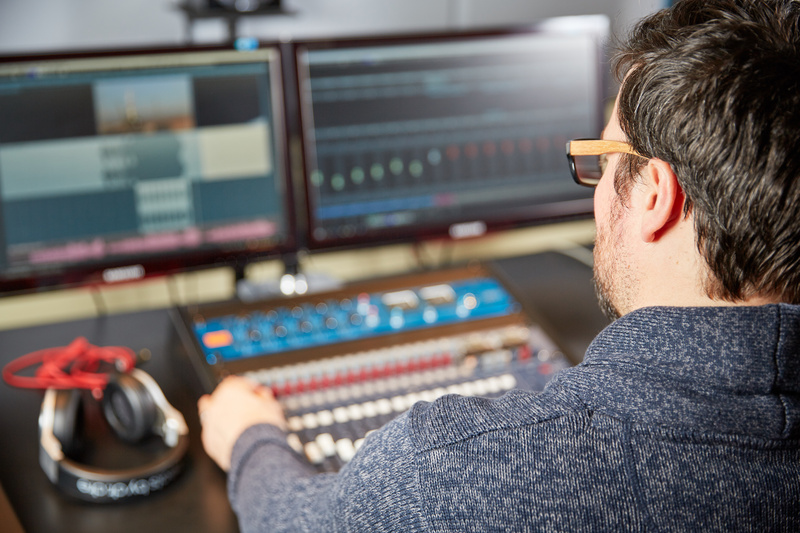 The role of a music supervisor consists of various different avenues, some focus on TV, film, and games, whilst others focus on finding the correct track for that 30-second piece of advertising. Whichever route you choose, it is still a high-profile, high-pressure job within the music industry - but it comes with its rewards. What skills and/or education do you need to be a music supervisor? There is no clear path towards becoming a music composer however a strong familiarity with broad ranges of music and extensive knowledge of music composition, paired with a passion for TV and film is crucial. A degree in business entertainment or something similar is desired but not essential. Become an Intern: Having work experience under your belt shows that you have gained an insight into the industry and have worked alongside like-minded professional, absorbing the knowledge as you go. Entry Level position - Entry level assistant music supervisor jobs are a great way to learn and gain experience. Vocational route: Forward-thinking schools such as Berklee offer coursework and programs that are tailored towards the subject. As a music supervisor, you tend to either work from home, in the studio or between meetings on the go, meaning that working hours can vary considerably but hours tend to be very long. Freelancers - More often than not music supervisors work on a project by project basis as freelancers, resulting in working from home in their own office or studio. Employed - You'll be employed by either a production or advertising company where you’ll be based within the offices provided. How much does a music supervisor get paid? If you’d like to see what Music Supervisor jobs, we currently have available then sign up to mandy.com for free today - your dream job is closer than you think.